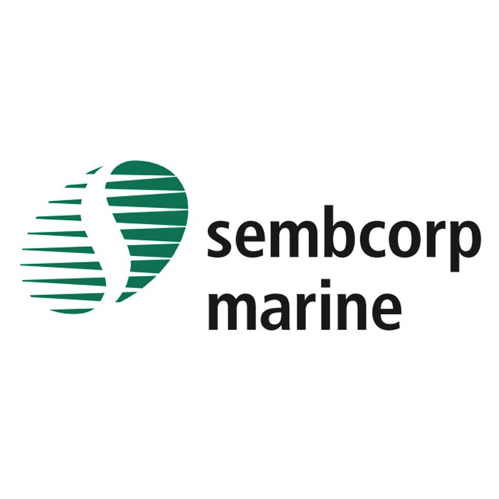 CIMB Research 2015-07-15: Sembcorp Marine - First major win in 2015. Keep REDUCE. The US$1bn semi-sub crane order that SMM has secured from Heerema is its first major contract in 2015. Its order book stands at about S$10.5bn after 2Q15’s recognition. We estimate an EBIT margin of 8-10% for the Heerema contract, lower than a conventional jack-up’s 15% as it is a non-proprietary new design. We keep our Reduce recommendation but our target price, still based on 11x CY16 P/E, 1 s.d. below the historical mean, is reduced to $2.52 as we tweak our EPS for the Transocean deferment. De-rating catalysts include order margin disappointment and order deferment/cancellation. SMM has converted the letter of intent from Dutch-based crane vessel operator, Heerema (announced in Mar 15), into a formal contract worth US$1bn to build a DP3 semi-submersible crane for delivery in 4Q18. The vessel will be used for the installation and decommissioning of major offshore facilities worldwide. It will be equipped with two Huisman heavy-lifting offshore cranes of 10,000MT lifting capacity each. The vessel will have a length of 220 metres, width of 102 metres and displacement of 273,700MT. The US$1bn contract value excludes the two Huisman cranes. However, with a displacement six times bigger than a CJ70 harsh environment rig (c.44,000MT), we believe equipment/materials could make up more than 50% of the contract value. In addition, given that it is a non-proprietary first-time design, we estimate an EBIT margin of 8-10% for the contract. Payment terms are better than 20/80 but tail-end-heavy. SMM’s YTD contract win is about S$1.4bn, slightly ahead of our S$1.2bn expectations. We adjust our 2015 order assumption to S$1.8bn and keep our S$2bn projection intact for 2016. Our EPS is adjusted to reflect the slightly higher order assumption net of the recent deferment by two years by Transocean of its two drillships from 2018 to 2020. SMM will announce its 2Q15 earnings on 29 July. We estimate 2Q15 net profit was S$129m (+27% qoq, -2% yoy). Qoq improvement likely stemmed from better ship repair volume. Management had guided for lumpiness in ship repairs in 1Q15 due to the timing of vessels scheduled for repair. As this has improved, we estimate the EBIT margin recovered to 11% in 2Q15 (1Q15: 10.6%). However, rig-building was probably slightly weaker qoq, with work for Sete Brasil slowing down. We would turn bullish if margin and order momentum surpasses expectations.